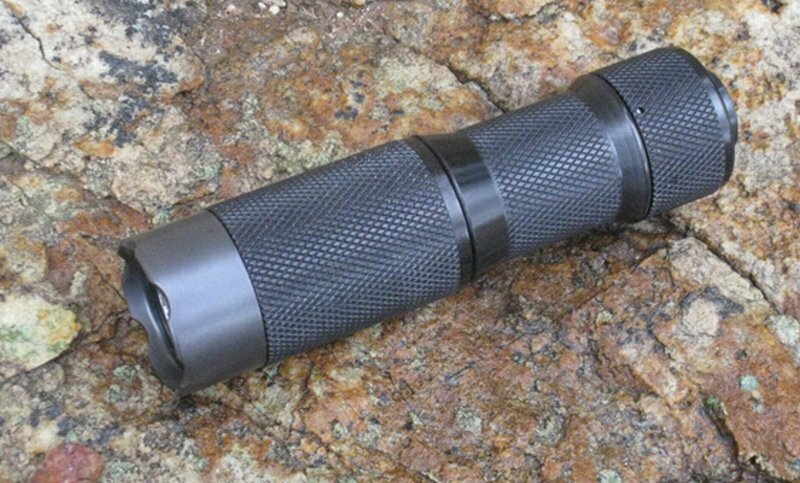 The Ra Clicky Tactical flashlight is the next generation single button multi-brightness everyday carry pocket flashlight for the sophisticated flashlight user. HDS Systems invented the intelligent pocket flashlight in 2003 and the Ra Clicky Tactical flashlight is the culmination of our pioneering technologies. You can directly and instantly access the light you need – from a blinding tactical brightness or a tactical strobe, to a low brightness to preserve night vision. You can customize each brightness setting and other features to fit your particular needs. And the light is so small you can carry it with you wherever you go. For a tactical light, the crown seems to be less effective than other lights such as the Brite-Strike. At this point, i think the cut outs are more for decoration than for any actual purpose. Although the top is obviously strong enough, I’d like to see these edges a little sharper for use in applying pressure points. That’s no “beatdown-bezel”, friend. The cut-outs on the side are for making sure you can see it if you’ve left the light on, or switched it on accidentally with the face down. That’s a good way to kill your batteries flat dead in the middle of the night. Not that those titanium teeth won’t stand up in the role of improvised kubotan, but the goal here was making something that won’t chew up pockets. Also, the particular LED you’ve got here is the Osram Golden Dragon, a uniquely well-focused light source that’s pushing the envelope for what’s possible with current technology. Regardless of my views of the crenelations, I still think that this is the #1 stock light on the market, and the pros outweigh the cons 8 million to 1, and the build quality is something that is hard for others to match. The other features of this light are soo abundant, that its almost easy to overlook something this small.